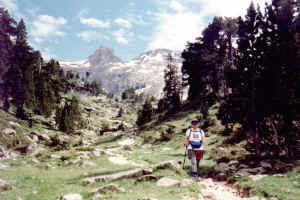 The track goes over Col d'Aratille, the obvious pass above the lake. 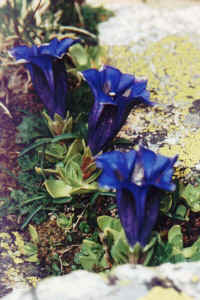 The flora is abundant in both valleys. Isards (local brand of chamois) are common too. The last part of this section follows a gentle creek cascading among pines and meadows.